DigitalMe will be raising awareness of Open Badges and encouraging young people and adults to start their Open Badge journey by gaining skills and their first badge at the BETT Show 2014 in London next week. Tim Riches, CEO of Digital Me, explains: “It’s often difficult to get accreditation for the skills and achievements which occur outside of school. Open badges help solve this problem by allowing people to easily earn, manage and share their badges across the web. Having the evidence of the learning “baked into” each badge means that potential employers are able to see exactly how the skills have been developed. Activities on offer at this year’s BETT show on the Stone Computing stand include the opportunity to create your own media, learn how to make circuits and create your own robot, design your own open badge, hack the front cover of heat magazine and code your own web page. Mr. Martin Clouthier joins Fauske & Associates, LLC (FAI) as a Senior Consulting Engineer serving Canada for testing and consulting services. Mr. Clouthier’s career spans more than 20 years focusing on loss prevention in the process industries. He has conducted hundreds of formal assessments aimed at identifying, quantifying and reducing the risk of major accidents at industrial facilities across Canada. His current interests are in fire risk assessment at nuclear facilities and explosion risk assessment for industrial processes involving dust, gas or hybrid mixtures. Since 2005, he has served as an active member of the NFPA committee for explosion protection systems. Founded in 1980 by Hans Fauske (D.Sc. ), Michael Grolmes (PhD) and Robert Henry (PhD), FAI became a wholly owned subsidiary of Westinghouse Electric Co. in 1986. FAI assumed early leadership roles in the acclaimed DIERS program for AIChE and the IDCOR program for the nuclear power industry. These activities led to state-of-the-art methodology and laboratory tools for characterizing chemical systems and computer models for analyzing severe accidents in commercial nuclear power plants used worldwide. Recognized worldwide for phenomenological modeling related to the prevention and accommodation of chemical and nuclear power accidents, FAI also provides advanced training and research in physics, chemical engineering, mechanical engineering, nuclear engineering, computer science and other fields. FAI has several fully staffed laboratories supporting: EQ, CHAMP, full-scale thermal/hydraulics experiments, and basic physical sciences. FAI has a 10CFR50 Appendix B Quality Assurance (QA) Program and is ISO- 17025/IEC, ISO-9001 and TickIT certified. In addition, FAI is an Authorized Provider of IACET CEUs. FAI is also recognized for conducting comprehensive plant evaluations. FAI’s Nuclear Systems Group helps its customers enhance the availability and reliability of their operating plants while maintaining regulatory compliance, extending plant life and reducing operation and maintenance costs. With regard to industrial and chemical process safety, FAI is at the forefront for dust explosivity/combustibility testing offering a wide range of services related to characterizing, preventing and mitigating combustible dust explosions and fire hazards. Already an established leader, FAI just opened one of the most comprehensive, state-of-the-art combustible dust hazards testing lab and education centers in the world. In addition to laboratory testing, educational training and on-site consulting services are a frequent customer request. For more information regarding services to Canada, please contact: Martin Clouthier, 902-444-0207, clouthier(at)fauske(dot)com, http://www.fauske.com. Footage.net, the stock, archival and news footage search engine announced today that thousands of preview clips from WeatherVideoHD.TV, including stunning HD time-lapse, rare high-speed and brilliant 4K footage, are now available for viewing through Footage.net’s stock footage search and screening platform. Footage.net users can now screen preview clips from WeatherVideoHD.TV’s rapidly growing collection of curated, royalty-free stock footage, assisting WeatherVideoHD.TV in reaching a new and expanding user base worldwide for its stock footage licensing business. An HD time-lapse archive ten years in the making, WeatherVideoHD.TV has been supplemented by the use of advanced technology such as high-speed Phantom cameras showing weather phenomena in ways rarely seen before. WeatherVideoHD.TV’s initial collection of High Plains and Rocky Mountain weather footage (especially time-lapse clouds, high-speed lightning captures and red sprites) is continuously augmented by contributions from scientists, videographers and storm chasers worldwide. WeatherVideoHD.TV has recently upgraded its search capabilities to permit visitors six ways to find what they need…including free research to track down just that right shot. Users can also create and share multiple review bins; free screeners can be downloaded for evaluation; clips can be licensed directly online from a selection of resolutions, ranging from mobile devices to HD to 4K; and all licensed clips remain available online indefinitely in the clients own “mini-cloud”. Footage.net has grown rapidly over the last several years to become one of the world’s largest and most comprehensive online stock footage databases. WeatherVideoHD.TV’s clips will be available for screening and online licensing through Footage.net alongside motion content from some of the world’s most prestigious footage companies. Footage.net is the world’s premier online resource for stock footage research. Since 1994, Footage.net has focused on meeting the needs of both footage users and footage providers. Today, Footage.net remains committed to helping users find the best footage as quickly and easily as possible; generating new leads and licensing opportunities for our member archives; and strengthening the footage licensing industry as a whole. Our dedicated search engine makes it easy for creative professionals to search 40 world-class footage collections simultaneously and view over three million clips, many of which are available for download. Footage.net is also home to the Zap Email, used every day by creative professionals to send footage requests instantly to over 50 top footage providers. Whether they’re up against a deadline or searching for an obscure clip, creative professionals rely on Zap Emails every day to initiate their footage research projects, providing our Zap subscribers with a steady stream of new leads. WeatherVideoHD.TV, established in 2008, is headquartered in Fort Collins, Colorado, and provides not only video but also photographs and educational graphics (the latter in partnership with the American Meteorological Society). The royalty-free licenses have extremely broad and generous terms, this in keeping with the underlying mission of promoting informal public science education. Beyond providing licenses for a spectrum of resolutions for any asset (priced accordingly), there is an extensive databank that details the scientific value of the imagery. This Davey Award wining website’s offerings have recently passed 10,000 items, and while small by industry standards, is expansive given the intense focus on weather and climate. Meet with WeatherVideoHD.TV staff in New York City during October at the footageMarketplace (October 17th) and Visual Connections (October 23rd) events. IntelLiDrives Inc, manufacturer of linear actuators, rotary tables and XYZ systems for precision manufacturing industries, joined the list of Corporate Sponsors of TeamChildren Project. TeamChildren's unique, eclectic approach to transforming early childhood education is making a widespread difference in our region and beyond. TeamChildren’s Digital Inclusion project has now collected, repaired, and distributed over 11,000 low cost refurbished computers to families, schools and organizations and helped over 50,000 children cross the "Digital Divide." Teamchildren is the single most successful non-profit organization with a regional outreach to help Transform the Digital Divide. Companies like IntelLiDrives, Sanofi-Aventis, Genex Services, QVC, Children's Hospital, and hundreds of other companies and individuals in the Delaware Valley has committed to Team Children mission. These companies and individuals have contributed an enormous amount of computer equipment. Without their contribution, there would be less than 3,500 families with access to a home computer in our region. Canadian Siborg Systems Inc. and Sanata-Tech From St. Petersburg, Russia have agreed to join their efforts in marketing devices of Smart Tweezers LCR-meter family including the latest budget model LCR-Reader in quickly expanding Customs Union countries including Russia, Belarus and Kazakhstan. Currently the Customs Union is expanding beyond the former Soviet Union countries, participation of India, Turkey and Siria are being considered. At a summit on October 29, 2013 held in Minsk, Russia, Belarus and Kazakhstan confirmed their intention to form the Eurasian Economic Union in 2015, on the basis of the Customs Union. Subsequently, Turkey, India, and even Syria could join this new alliance, according to the leaders. Sanata-Tech is a supplier in Eastern Europe specializing in supplying soldering equipment (Hakko), electrical test equipment and workplace furniture and hand tools (Viking). "Major portion of our clients are electronic companies dealing with Printed Circuit Boards (PCB)," says Natalia Petrova, CEO at Sanata-Tech, "Any person using soldering equipment finds Smart Tweezers LCR-meter very efficient in testing and characterization of Surface-Mount Devices and it is an indispensable tool for PCB debugging and repair." LCR-Reader, a successor of Smart Tweezers LCR-meter ST-5, are designed for measuring SMD components as small as 0201 form-factor or about 0.3 mm size. This type of devices allow to measure in addition to the capacitance, equivalent series resistance (ESR) or dissipation factor D, in addition to inductance, resistance or Q. ST-5 LCR-meter can also be used for a continuity and diode test. Now you have a choice of buying the original Smart Tweezers or LCR-Reader, a new budget model of a tweezer type LCR-meter. A summary of LCR-Reader and Smart Tweezers comparison of feature is avalaible in this Table. In a nut shell, the main difference is price, size and accuracy. Smart Tweezers ST-5 is a certified LCR-meter for professionals with a basic accuracy of 0.2%, supplied with a NIST Traceable Calibration Certificate. On the other hand, LCR-Reader outperforming previous models of Smart Tweezers ST-1 to ST-3. With a basic accuracy of 1%, price under $ 200 and weight of 1 Oz it is positioned as a consumer's choice LCR-Meter. It only uses 0.5 Vrms test signal thus limiting its application for ceramic capacitors. It is well known that test signal lower then 1 Vrms results in a underestimated capacitance values for ceramic capacitors, (e.g. see ST-2 User's Manual on p. 16). The new model, LCR-Reader, is about two times lighter than previous Smart Tweezers models, and is powered by rechargeable Li-Ion battery. Its basic accuracy is about 1% which exceeds specs for models ST-1, ST-2 and ST-3. It has a simplified control by just one button that turns the device on and changes the operation mode. The following features are abandoned compared to ST-5: component sorting, automatic offset correction,diode and continuity test. The most important drawback of LCR-Reader is the level of test signal which is 0.5 V rms that does not allow to use it for ceramic capacitors, similarly to ST-1, ST-2 and ST-3 it gives a lower capacitance value. You may also watch a brief demonstration of LCR-Reader on Youtube. A detailed comparison of features of the LCR-Reader and previous models is presented in this Smart Tweezers Comparison Table. For more information, please refer to Smart Tweezers Manual. 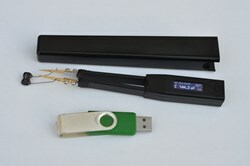 Latest news are available in our Smart Tweezers Blog. For previous developments, please refer to Smart Tweezers Retrospective. Established in 2009, Sanata-Tech supplies soldering and rework equipment (Hakko), electrical test equipment and office furniture and hand tools (Viking). The professionals at Diet Doc are serious about helping everyone lose weight to improve health, longevity and quality of life. The company is consistently searching for new ways to make achieving weight loss goals simpler, more convenient and less costly for everyone in need. Utilizing Telehealth, the latest medical technology, now enables the company to reach patients in even the most remote regions of the country, delivering fast, safe and consistent weight loss directly to patients’ doors. One of the first prescription diet companies to join this new revolution in healthcare, Telehealth allows patients and physicians to connect via the telephone, thus avoiding time consuming and costly visits to local weight loss clinics. Patients who are ready to change their lives by losing unhealthy excess weight can begin simply by calling the company or logging on to the computer to complete a comprehensive, yet quite simple, medical evaluation, after which the patient will schedule an appointment, at their convenience, to speak directly with a board certified physician. This level of personal service allows the doctors to review and assess each patient’s entire system and to identify any improperly performing organs or other barriers that may hinder fast weight loss, without the patient ever leaving their home. Each patient will receive a plan of action along with a complete and detailed physician report. Qualified patients will work closely with nutritionists, who are certified and specially trained in the science of safe and fast weight loss. Diet plans will be designed that are unique to each patient’s personal nutritional lifestyle and medical needs, designed to be rich in essential nutrients, helping the body to function at maximum capacity while melting pounds and inches. Because the diet plans incorporate a wide range of delicious food choices, patients find that they maintain their interest while the rapid loss of weight keeps them motivated. Each diet plan is uniquely developed with emphasis on achieving optimal weight loss with focus on safety and improved long term health and weight maintenance. Diet Doc’s prescription hormone complements the uniquely designed diet plans by sending a powerful signal to the hypothalamus to target stores of trapped fat to be released into the bloodstream and burned as the body’s primary energy source. This dynamic combination turns the body into a fat burning machine with patients reporting fat melting from the body in areas that are typically the most stubborn and difficult areas to lose, such as the belly, hips, thighs and underarms. Diet Doc offers incomparable services to dieters across the country, delivering a consistent effective medically supervised diet plan directly to patients' doors. To further add to the convenience of this revolutionized new diet plan concept, videoconferencing eliminates the need for costly, embarrassing and time consuming follow-up visits to weight loss clinics, while offering improved and easy accessibility. The addition of Telehealth is making losing unhealthy excess weight easier than ever before. By shifting their focus to the numerous possibilities that Telehealth offers, Diet Doc has made their prescription hormone diet plans available nationwide. Diet Doc’s physicians and nutritionists can reach out to a patient in any location using advanced technology, eliminating all geographical and communication barriers. Many companies try to drum up business by offering discounts and sales. One canopy company is thinking out-of-the-box and putting its money where its mouth is in order to drum up new business and bring the community together. A Los Angeles-based company, Ace Canopy has decided to join several other businesses and giveaway a 4000 party tent. The methodology behind the promotion is you gain strength in numbers. The cross promotional event includes a pizza company, a flower shop, and a graphics design company. The promotion consist of Ace Canopy offering a no strings attached $ 4000 party tent to be given away at the Ace Canopy retail store on Saturday, July 20. Ace Canopy specializes in outdoor canopies, pop-up tents, carports, party tents and various other types of canopy tents. Ace Canopy sales manager Steve Benson said, We are very active in the community and thought this was another way to promote our party tent giveaway, as well as collaborate with other companies. The other companies as well as Ace Canopy will be offering additional discounts on advertisements that range from 15 to 30% off list prices. Ace Canopy has held several canopy tent giveaways on its own but never collaborating with other companies. All the companies will promote the event for 3 weeks. 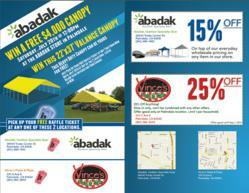 A $ 4000 party tent will be given away at the ace canopy retail store on Saturday, July 20th. No purchases necessary customer show up, write their name on a ticket and a winning ticket is drawn. Nordquist Sign and Lawrence Sign are pleased to announce the addition of Todd Wandersee as Vice President of Engineering & Design. Todd will oversee and manage the Design and Engineering Departments of both Nordquist and Lawrence. Deliverable responsibilities include technical and creative sign solutions for all sign fabrication projects including conceptualization, production, and final installation. We are very pleased to have Todd join our team, said Robb Walker, CEO of Nordquist and Lawrence Sign. Todd possesses core competencies and substantial industry experience in fabrication management, product development, project management, design interpretation, and industrial process implementation. He will deliver substantial value to our clientele. Todd brings over 30 years of expertise in the sign industry. Prior to joining Nordquist Sign and Lawrence Sign Todd worked at Form+Surfaces, Accent Signage, Best Buy, and Acrylic Design Associates. I look forward to providing creative design and engineering solutions for the expansive customer base of Nordquist and Lawrence, said Todd during a recent interview. 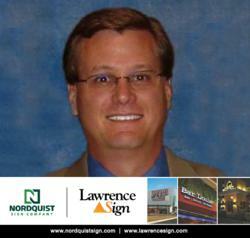 Joining the Nordquist and Lawrence Sign teams represents an ideal career advancement for me. It affords me an opportunity to leverage my knowledge and experience in the sign industry and effectively manage our team of leading sign professionals. Todd Wandersee wants to help your business grow and is available for consultation on your next sign project. He can assist with ideation, drafting concepts, and will guide your service team through fabrication and installation to a completed sign project of which you will be proud. Todd can be reached directly at (651) 775-8542 or via e-mail toddw(at)nordquistsign(dot)com. Headquartered in St. Paul, Minnesota, Nordquist Sign (founded 1904) and Lawrence Sign (founded 1929) design, fabricate and install custom signs for almost every industry servicing local, national and international clientele. With over 100 years of experience, the Companies have created sign, branding and environmental graphics solutions for a wide range of applications. Time-tested sign artisans, advanced technologies, and expansive facilities provide direct in-house control of the entire sign fabrication process. In early 2012, Lawrence Sign made the strategic decision to expand the Company's resources and capabilities with the acquisition of Nordquist Sign of Minneapolis. Nordquist Sign represented a century-old brand focused on specific market segments within the sign industry. The resulting synergies of the merged companies provide significant growth opportunities across broadened markets. Kozio, Inc., a leading provider of embedded software for system-level hardware testing, has named Allan Arendt as its director of sales. Arendt has nearly 20 years of experience in consultative sales for software and hardware companies. "We're pleased to have found someone who has such strong sales experience, as well as such a solid understanding of technology," stated Kozio President Joseph Skazinski. "His work selling technical solutions to solve business problems, and specifically his work related to embedded software and development tools, is a great fit for us and our clients." The director of sales position at Kozio is designed to help the company strengthen its market position in the embedded software arena, reinforce its current sales force and foster new relationships with processor board vendors and OEMs in the U.S., Asia and Europe. 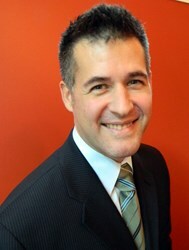 Arendt will report to Joseph Skazinski, Kozio's co-founder, president and CEO. "I'm eager to help Kozio continue its established record of success," notes Arendt. "The company's software technology is already proven to streamline testing and production of computer-based motherboards, and I look forward to helping new companies benefit from Kozio's innovative approach." Arendt's experience includes work as an independent manufacturers' representative, a sales trainer, consultant and sales manager. He's been recognized throughout his career for his skills and abilities in sales, and has successfully opened local and regional offices and broken new ground selling into new territories and markets. Arendt holds B.S. and M.S. degrees in engineering from Southern Illinois University in Carbondale, Illinois. Kozio provides electronic product designers and manufacturers with software customized to perform on their processor board. This service includes the creation of software test algorithms providing comprehensive or near-comprehensive test coverage of various hardware components on a processor board. A detailed test-coverage document is delivered with the software. In addition, Kozio also offers a free evaluation of its kDiagnostics software for board bring-up diagnostics for use on supported processor reference platforms from industry-leading semiconductor providers and product solutions companies. Kozio, Inc. develops software solutions that verify design and validate hardware for embedded single-board computer systems used in products such as ADSL gateways, wireless access points, network routers, voice solutions, security and test equipment, and aerospace systems. Kozio's products provide comprehensive test solutions, including diagnostics for board bring-up, automated manufacturing test, and built-in self-test software for manufactured products. Kozio's customers design, develop and manufacture boards used in computer-based electronic systems for the aerospace, networking, defense, test and wireless industries. Kozio has formed alliances with top-tier processor companies, including AMCC, Intel, IBM and Freescale. Kozio products ease many embedded systems development challenges, from design through manufacturing and support, saving customers time and money. The company is privately held and based in Longmont, Colorado. For more information, visit http://www.kozio.com. Kozio and kDiagnostics is a registered trademark of Kozio, Inc. All other trademarks are property of their respective owners.